Earlier this year, Conchas wrote about LDraw.org’s January Model of the Month: every month or so, the LDraw.org Committee selects one digital LEGO MOC to be displayed at their homepage. 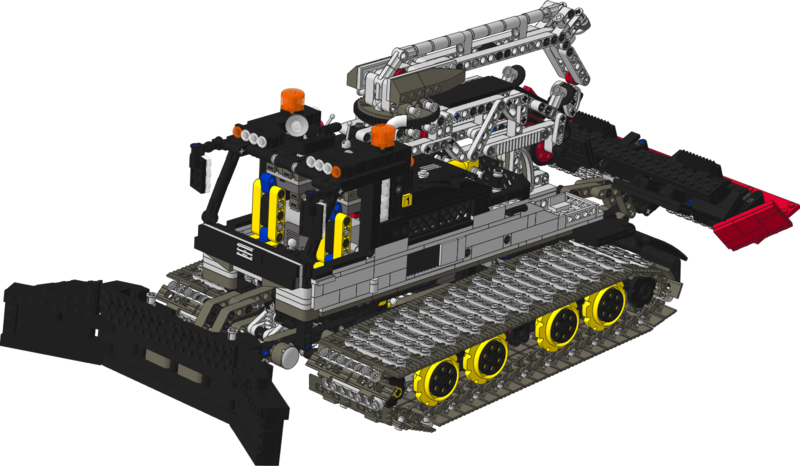 TECHNIC models don’t usually manage to become Models of the Month, so it’s noteworthy that yet another one gets featured: this time it’s the Prinoth Leitwolf with Power Functions, by Han Crielaard. Snow groomers may also be known under other designations, like “snowcat” or “PistenBully”. And it’s this last name that potentially raises more interest… Remember the rumours about sets for 2009? 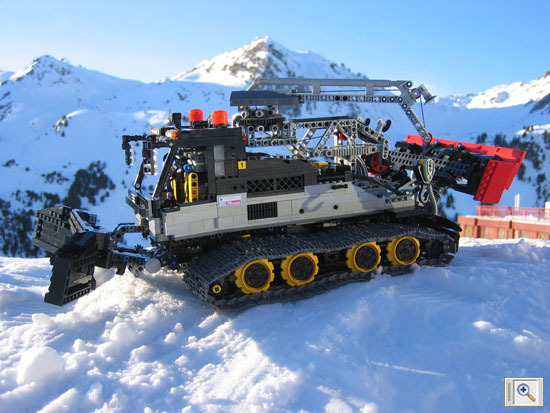 That’s right, such a name is present, which may mean that we’ll get a LEGO snow groomer next year. It immediately remembered me, that 'Pisten Bully' we may be getting in 2H2009.